Very nice place and cool people. Room had everything you need. 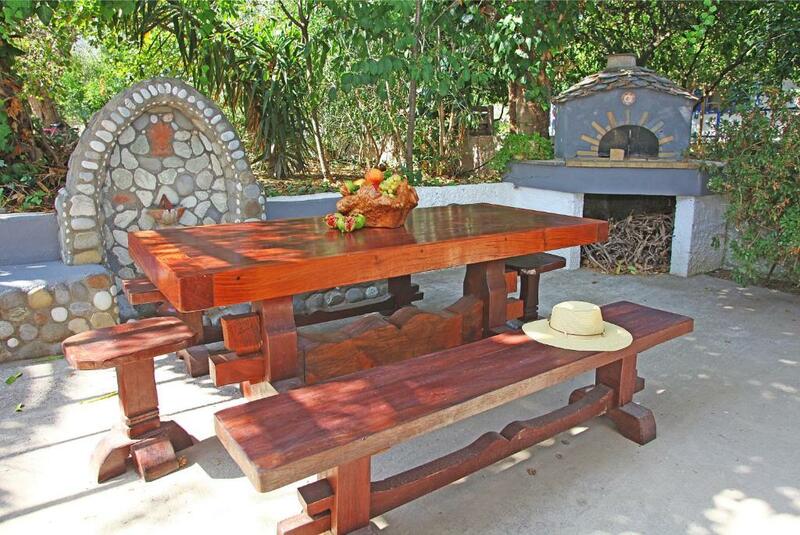 Beautiful garden with BBQ. Very clean, towels replaced daily, bedsheets also. We liked the apartment very good. 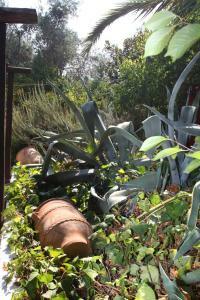 It was a beautifull garden with lots of shadow. Our childrend (six years and below) love the place. Further we would like to tell that the houseceeper was very friendly and helpfull, and assist us in different ways in a professional way. Traditional old Grecian style cottage studio, garden festooned with flowers, trees, herbs and eating areas, super value - brisk walk into town to all restaurants, bars, supermarkets, ferry services and bus-stop with round island route to lovely beaches, on road leading away from town to scenic places for anyone hiring a car or scooter ie no need to drive through town. Very pleasant morning and evening refuge from busy port area but not too far away. All in all a lovely experience with a very attentive and welcoming host, Artemis, who did everything she could to make our stay happy. Beautiful feel to the property, especially the grounds were delightful. Was picked up from the port even though it’s only 10 - 15 mins walk. A lovely touch. Everything was perfect. Family owned cottages were very clean and comfortable, with all the necessities. The host was super friendly and professional. He welcomed us at the port and led us to the room, which is located close to the main areas of Skopelos "hora". A bottle of wine and two bottles of water were also provided. He was always available for anything we might need and gave us all the tips for where to go. The location is great if you have means of transportation such as car or motorcycle. 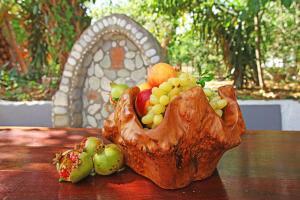 It is easy access to all the restaurants and cafes, and on the main route for the best beaches in the island. Very nice arranged cottage with terrace and nice yard. Personnel was very helpful and nice. Positioned near town, walking distance to port and town, to beach the distance is 10-15 minutes by car. Very good price-quality raport. Τα πάντα!!!! Οι θάλασσες,το φαγητό τα τοπία.Ολα ήτανε καταπληκτικά!!! !Όσο για τον Βαγγέλη και τον Μανώλη δεν έχω λόγια!!!! Ήτανε φοβεροί οικοδεσπότες. Το κατάλυμα πανέμορφο με όλες πραγματικά τις παροχές!!! !Θα ξαναπήγαινα χωρίς δισταγμό!! !.Το συστήνω ανεπιφύλακτα!!!!!!!!!!! 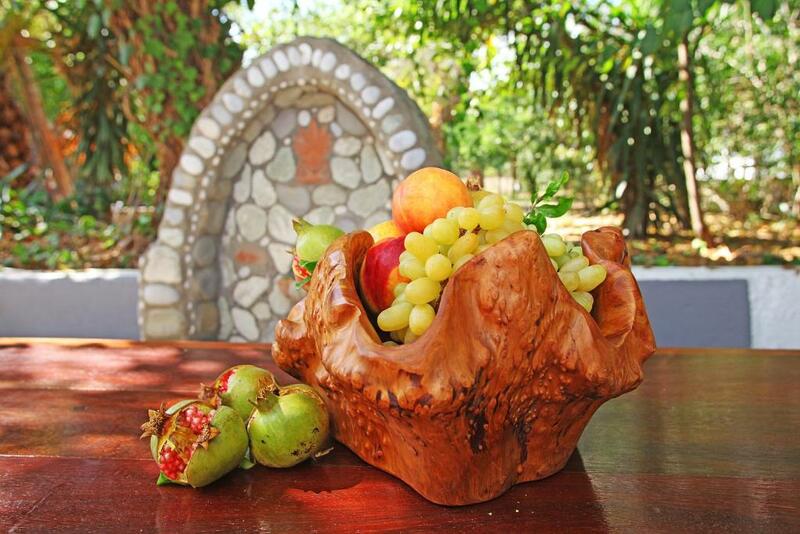 Lock in a great price for Yianna Cottage Studios – rated 9.7 by recent guests! 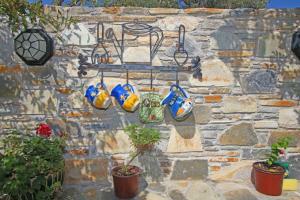 Yianna Cottage Studios is located in Skopelos Island, just 0.6 mi from the port. It offers a furnished sun terrace and self-catering studios and apartments with garden view. Free Wi-Fi is available in all areas. The air-conditioned units come with a TV and a private bathroom. They also include a kitchenette with a fridge and a toaster. Some feature a wooden ceiling and a fireplace. The nearest beach of Stafilos lies within a distance of 1.6 mi from Yianna Cottage. Various restaurants, cafés and super markets can be easily reached on foot. Free private parking is possible at a location nearby. 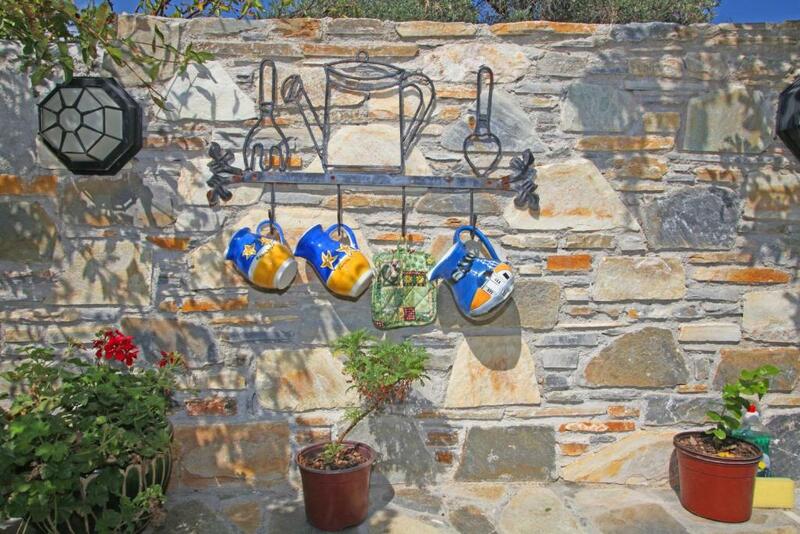 뀐 Located in the top-rated area in Skopelos Town, this property has an excellent location score of 9.1! When would you like to stay at Yianna Cottage Studios? Featuring four-poster beds and dark, wooden furnishings, this air-conditioned studio features a TV and a kitchenette with a fridge. Featuring wooden ceilings, a seating area and a fireplace, this air-conditioned studio features a TV and a kitchenette with a fridge. Featuring a colorful decoration, this air-conditioned apartment features a TV and a kitchenette with a fridge. Featuring a colorful decoration and four-poster beds, this air-conditioned apartment features a TV and a kitchenette with a fridge. House Rules Yianna Cottage Studios takes special requests – add in the next step! Free! One child from 2 to 6 years stays free of charge when using existing beds. Yianna Cottage Studios accepts these cards and reserves the right to temporarily hold an amount prior to arrival. First five minutes of walk into town is on busy main road but when you take short cut it brings you onto a lovely cobbled area with shops and restaurants leading to harbour, so not too bad. We had a week wifi connection in our studio but this was immediately rectifyed once we made them aware by relocating us to a studio with stronger connection, all done without any fuss. Nothing negative at all, perfect and at the right price. I would not recommend the location only for people who will not have means of transportation, then you should stay closer to the port.